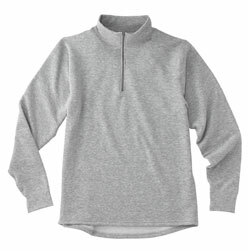 This simple and warm Women’s Moisture Wicking Expedition Weight Zip T-Neck, gives you an gorgeous looking as well as practical outfit. It gives you warmth on your body whenever if it is cold but you won’t find yourself overheating indoors. You could also lower the zipper to vent the heat and zip up for maximum warmth, depending on how you currently feel. It is also the most breathable and warmest synthetic base layer zip-neck that will keep you comfortable and dry in cold conditions. Plus its Gladiodor feature for odor control will help protect you and the garment. This product can really make you warm because it was Made of a power dry polyester double knit, with Gladiodor ordor control for the garment, and 3.8-oz polartec. Fabric is blue sign approved. You can also use this garment for hiking, climbing, skiing, running, and more. Materials: Capilene baselayers features a moisture-wicking fabric that dries quickly. Recycled capiline polyester, recyclable and features gladiodor garment odor control. Add Moisture Wicking Expedition Weight Zip T-Neck to your shopping list and grab one now! It is a great and perfect idea for Christmas gifts and much more!